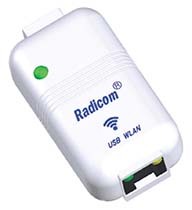 Radicom Research’s RW8300 Universal Network Adapter Series is all new Wi-Fi/LAN with USB Host, USB Device or Serial Port. It is the perfect networking center solution for embedded system to integrate Wi-Fi, Ethernet or USB into a single platform. 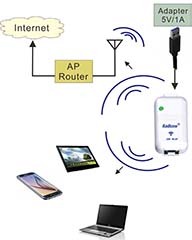 The AIO (All-In-One) networking capability provides many functions, such as single port router, Wi-Fi adapter, Ethernet adapter, Hotspot, Wi-Fi Repeater or WLAN bridge, with USB host/device capability for various applications. 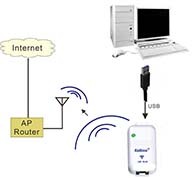 It can turn any Ethernet LAN port to a Wi-Fi hotspot or connect PC or Laptop into a WiFi Wireless Access Point. 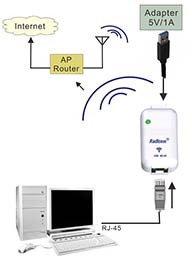 Any WiFi device such as iPhone, iPod, PDA, within range can connect to Internet by sharing your RW8300 Access Point. The RW8300 series is a full embedded system. It does not require CPU host when using as single port router or hotspot mode. This versatile RW8300 series of products offers configuration options to meet the specific system requirements. It is also designed to meet the emerging market applications. It's embedded with entire profiles, applications, so no external processor is needed. It contains an internal S-Flash so custom parameters and settings can be easily loaded into the module, and also supports AT-Command Set. solution availabilities for Smart (single mode) or Smart Ready (dual mode). The RW8300 is easy to carry and set up. Connect an Ethernet cable and RW8300 will create a secure wireless network for your devices. Ultrabooks, such as ZENBOOK, MacBook Air, and MacBook Pro, usually lack a RJ-45 port, and users can simply connect a network cable to ultrabooks via USB port to provide a stable online access anywhere. 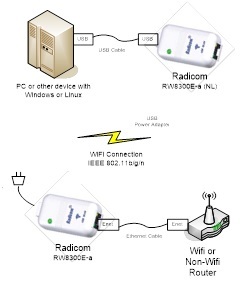 The RW8300 is easy for desktops to create a wireless network. Simply connect an USB cable and RW8300 will create a wireless secure network access to your desktops. The RW8300 supported hot spot mode. Just connect a mini USB cable to power on, it can share a single account on multiple devices, such as notebooks, smartphones, tablets. The RW8300 is perfect for your desktops, which usually lack Wi-Fi capabilities. Simply connect an Ethernet cable to your desktops to stay connected. 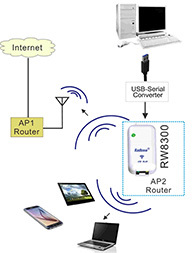 The RW8300 supported WLAN bridge mode, which can share a single account on multiple subnet. 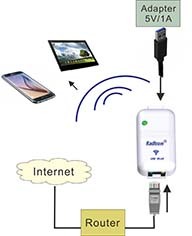 All devices are able to connect to the Internet. WiFi/LAN/USB Universal Network Adapter Module without USB connector and RJ45 Jack. 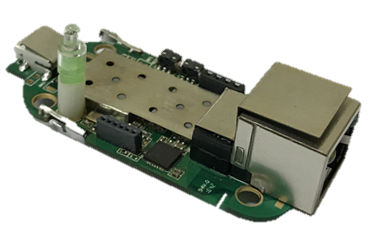 This version of the RW8300M-x module has through hole (DIP) pins for the USB and Ethernet pins that allow the Jacks to be placed in preferred locations. Please note USB Host and USB Device firmware is not compatible. 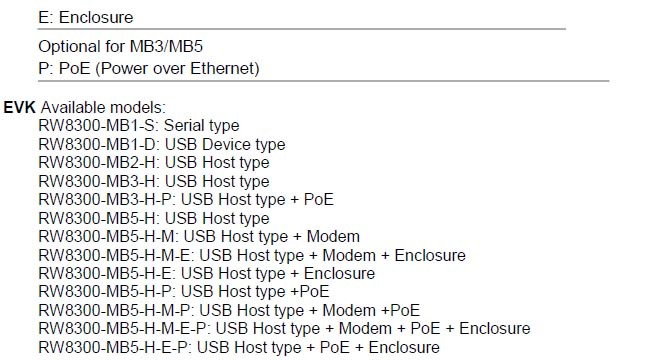 Serial/WiFi/LAN Universal Network Adapter DIP Modules. This version of the RW8300M-x module has through hole (DIP) pins for the Serial Port and Ethernet pins that allow the Jacks to be placed in preferred locations. WiFi/LAN/USB Universal Adapter Module with on board mini USB and RJ45 jack. 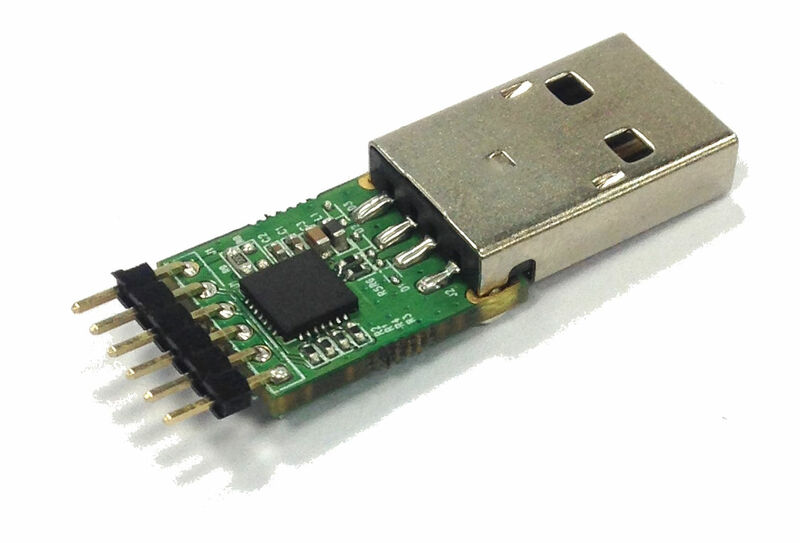 This version of RW8300NE-x module has RJ45 jack and mini USB that allow the flexibility of USB cable length. Serial port is optional. 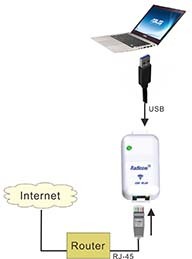 Serial/WiFi/LAN Universal Network Adapter Modules with on board Serial port and RJ45 jack. 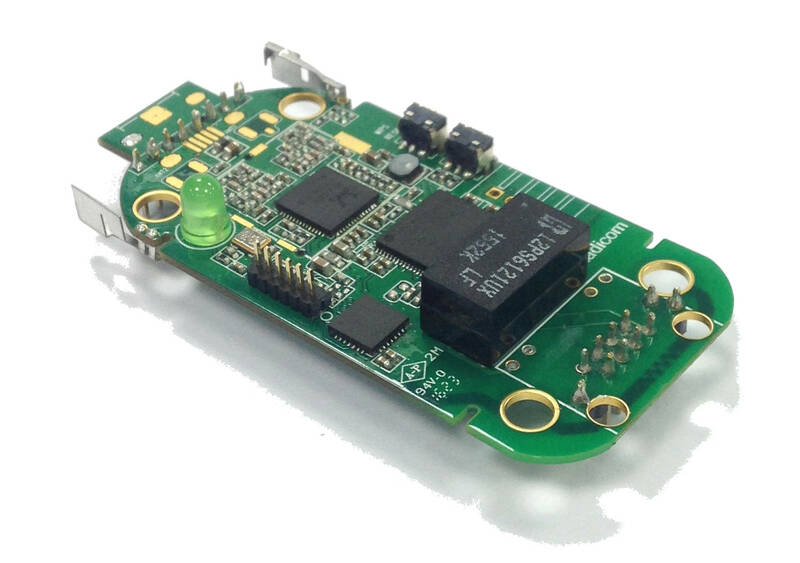 This version of RW8300NE-x module has RJ45 jack and Serial Port connector that allow the flexibility of Serial port cable length. Universal Network Adapter (WiFi/LAN/USB) Standalone in Plastic Enclosure with mini USB connector and RJ45 jack. RW8300E-a has embedded on-board antennas in the plastic enclosure. Please note that USB-Host and USB-Device firmware is not compatible. Universal Network Adapter (Serial/WiFi/LAN) Standalone in Plastic Enclosure with Serial-to-USB connector and RJ45 jack. RW8300E-a has embedded on-board antennas in the plastic enclosure. 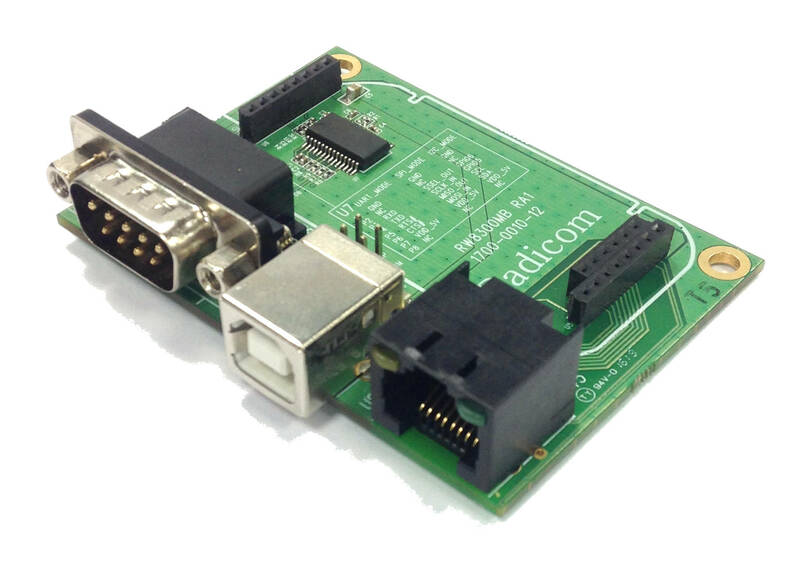 Development board provides DB-9, USB, RJ-45 interface connectors for easy implementation and testing purpose. This special Serial-USB cable has a mini USB connector at one end and a serial 6 pin header at the other end. Optional for RW8300 (Serial) type. Optional for RW8300 (Serial) type. 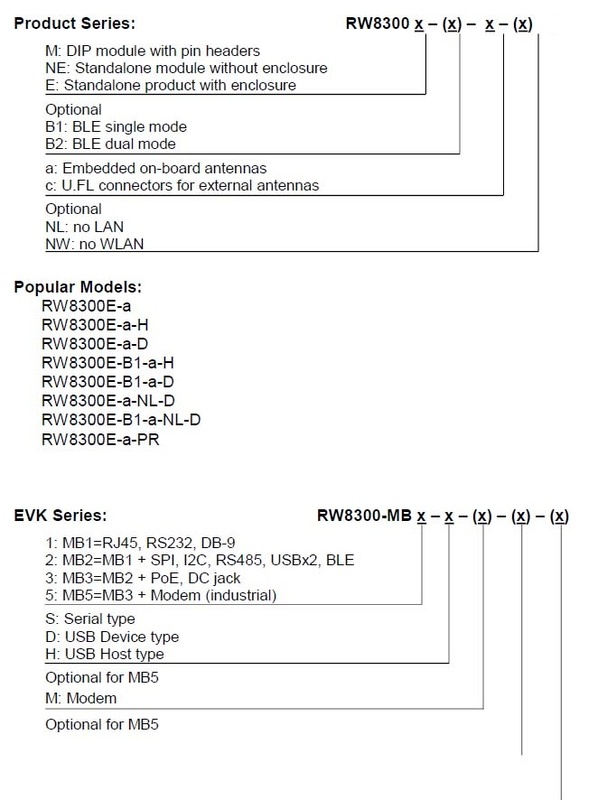 Optional for RW8300 (USB-Host) type. ATN-2d-RP-SMA: Replacement antenna, 2.4GHz, 2dBi, RP-SMA plug, and Omni-directional. AC6i-RP-SMA: 6” U.FL. to RP-SMA jack antenna cable.